It's apparently Bake Cookies Day. For real. Get on it! Now, about the title of this post. 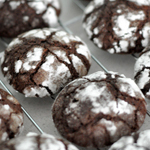 During the holidays, for me cookie perfection isn't about fanciness or uniformity; instead, I want to make cookies that: 1) are delicious; 2) are easy to make; 3) yield generous batches (i.e., work well for gifting); 4) can be made in small bite-sized portions (i.e., make for happy sampling); and 5) freeze well (so you or your recipients can save leftovers for a less cookie-saturated time). Here are 10 cookies that fit that definition of perfection for me. Click through the links for recipes, additional photos, and lots more culinary inspiration from these fine bloggers! 1. 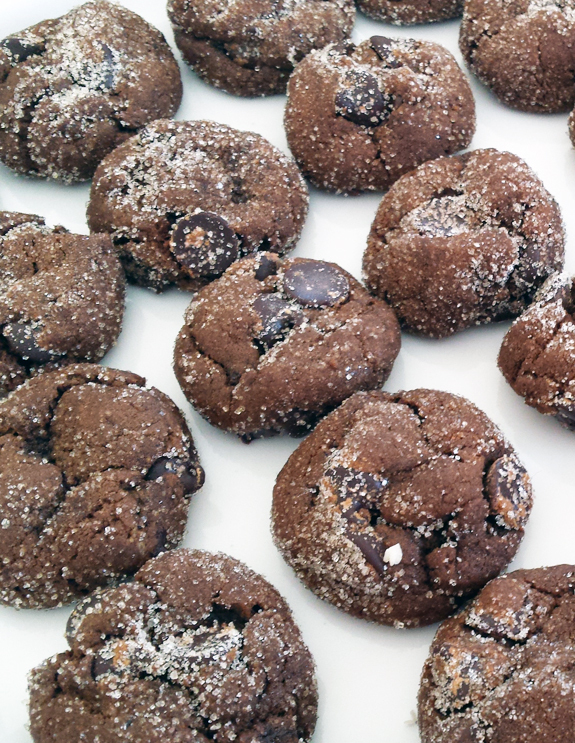 These gingerbread chocolate chunk cookies are my new favorite. I'm actually going to start making them year round they are so awesome! We actually have a stash in our freezer right now and it's like a little gift every time I take out a cookie and enjoy it post-defrost. 2. 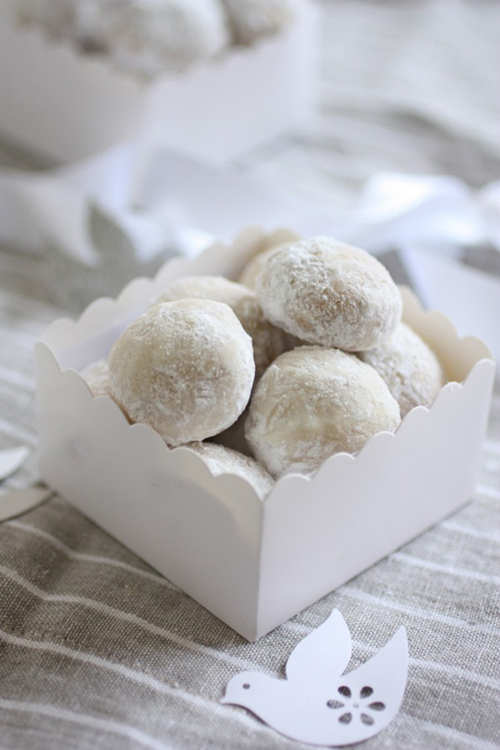 These melt-in-your-mouth Italian wedding cookies are so pretty and snowball-like; perfect for holiday gifting. 3. I love peanut butter cookies. I especially love when it only takes 3 ingredients to make them. 4. 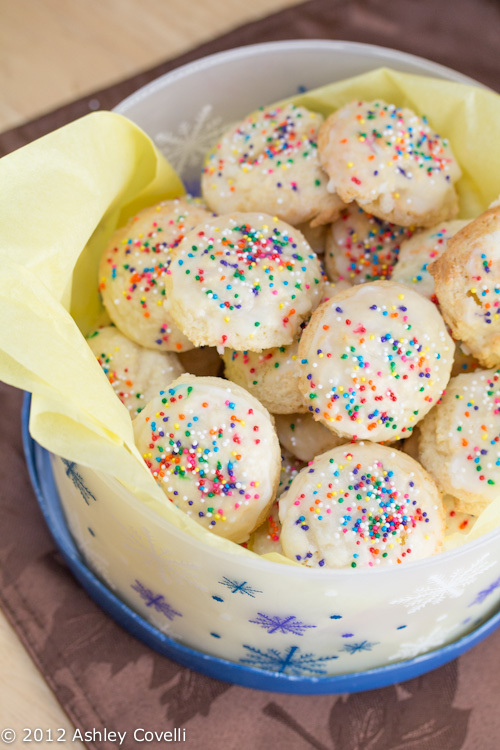 I'm intrigued by these ricotta cookies, especially given that they make a big batch (perfect for gifting). I'm planning on making these this weekend; I know Laurel and Violet will love adding the sprinkles! 5. 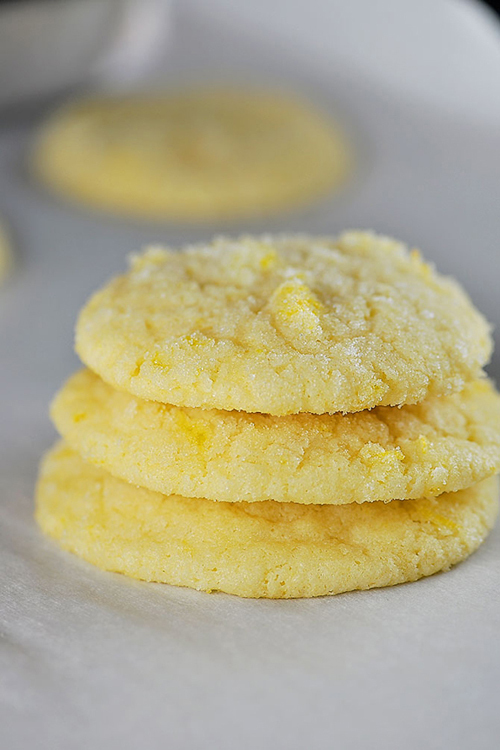 I love a classic sugar cookie and this recipe doesn't require chilling! 6. 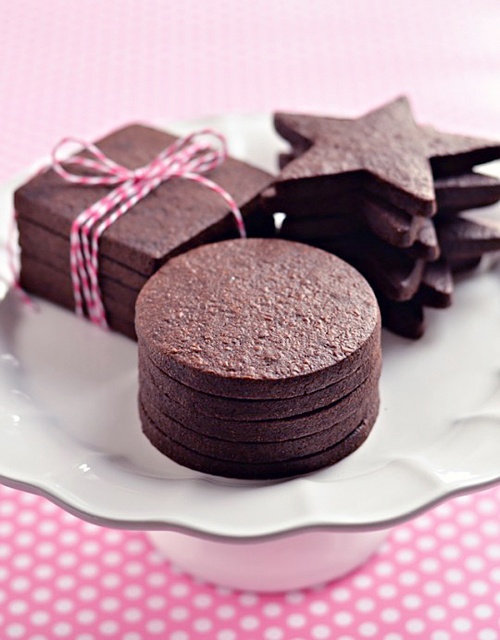 The flip side of #6 are these dark chocolate sugar cookies. I love how dramatic they are! 7. 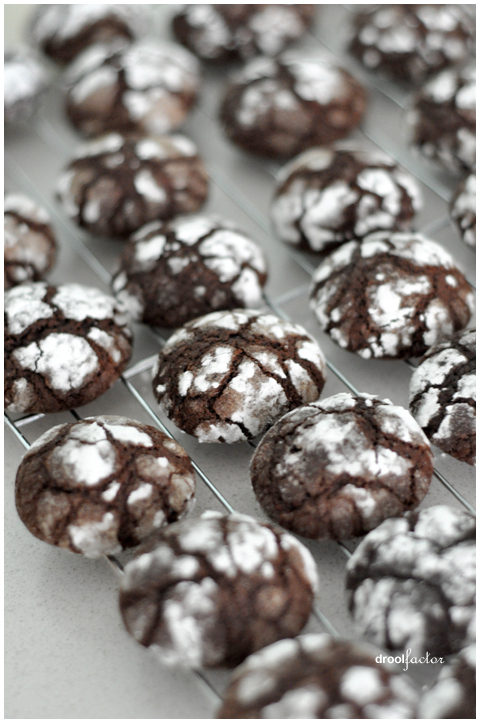 I always gravitate towards chocolate crinkle cookies at a holiday spread but for some reason have never made them. I'm changing that this year! 8. 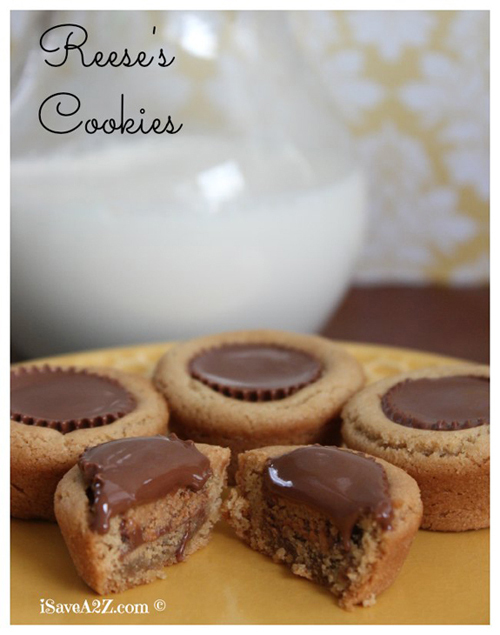 Reese's cookies = another cookie that I always dive for at the cookie plate. Can't wait to make a batch of these! 9. 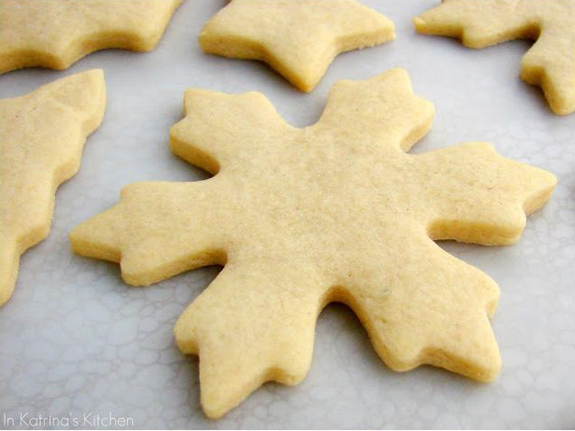 I love the unexpectedness of offering lemon sugar cookies at Christmas. So cheerful! 10. 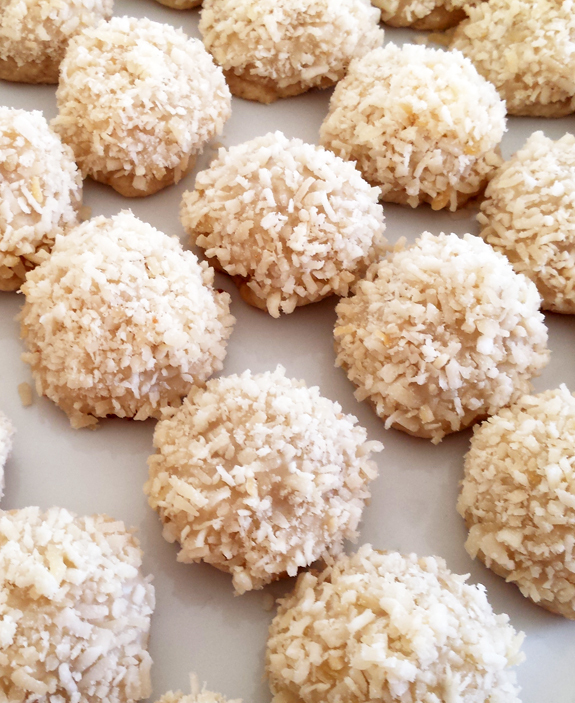 I also love these coconut lime snowball cookies, which I made last weekend for a cookie party. 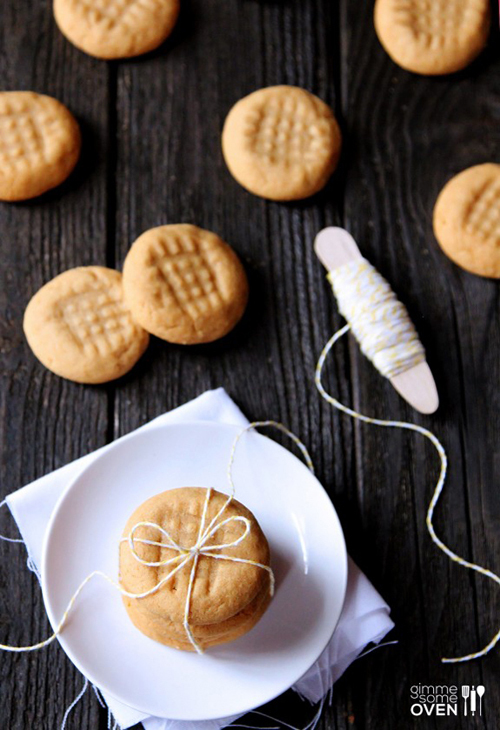 The butter cookie dough can be used as a base for countless other cookie options.